When the Design Museum relocated from Bermondsey to Kensington they asked us to assist them in raising awareness for this move. We worked closely with the appointed adverting agency to design a series of temporary structures sitting on rubber plinths that appeared to float above Exhibition Road in Kensington. Orientated towards the Design Museum’s new home, the plinths showcased some of the everyday and not so everyday objects from the Museum’s collection. 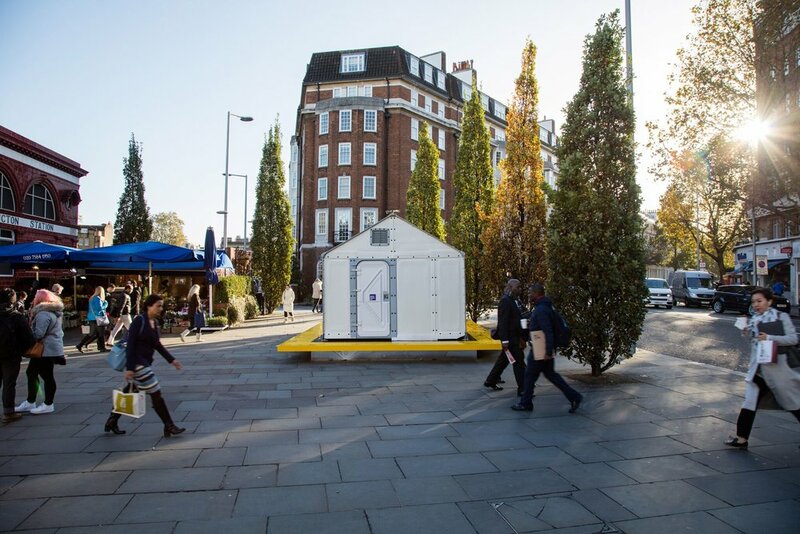 The shelter was prefabricated and craned into position overnight, giving visitors to Exhibition Road a striking temporary showcase of creativity from the area’s newest museum.